Microsoft announces Build 2018 developer conference dates with a Create, Imagine and Build for tomorrow theme. The 3 day annual developer conference where Microsoft talks about it’s emerging technology, Microsoft Build is here. Scheduled to take place May 7-9th in Seattle, Washington this year. The invitation to creators is to come see what’s next in Microsoft technologies. Experience emerging technologies in Artificial Intelligence, Mixed Reality, Cloud, Data, Quantum Computing, etc. 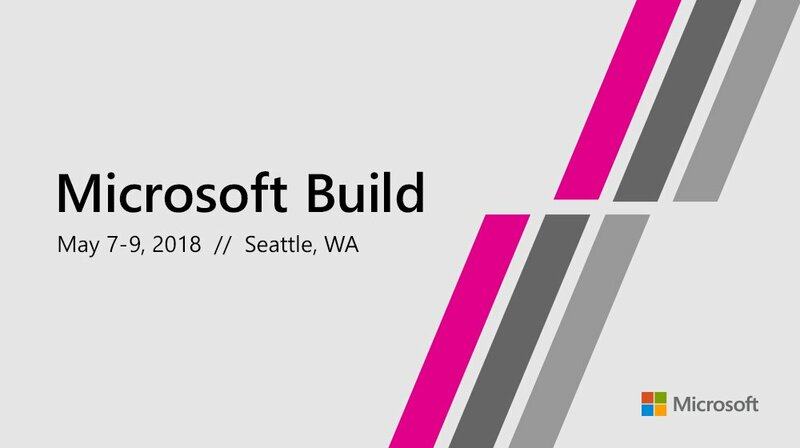 Microsoft Build Registration opens officially at 9:00 AM PST February 15, 2018. Visit the Build website and register if you want to be there. FYI it gets sold out pretty fast so you might want to brace yourself for this, lol. Creators of all kinds will gather to spark ideas, get inspired and build what’s next. Save the date to register tomorrow for your ringside seat. Spend three days exploring AI, mixed reality, cloud, data, and quantum. Experience the keynote address by Satya Nadella, Microsoft CEO. Learning opportunities via demo sessions led by leading developers behind solutions, meetups, technical deep dives etc . You will not be left out if you don’t make it physically to the event. You can join the live stream of most events, but you’ll miss out on some others. We will bring you livestream and updates of the event, so stick with us. Check out videos and relive last years experience ahead of this years. Excited and looking forward to what Microsoft Build 2018 will offer? Share with us.